$10 per person gets you 2 hours of bowling and shoe rental. 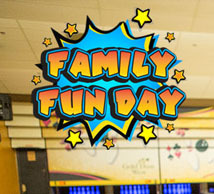 $15 per person gets you 2 hours of bowling, shoe rental and a cheeseburger and soda. 10 per person gets you 2 hours of bowling and shoe rental. 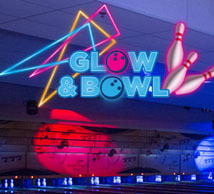 For $15 per person gets you 2 hours of bowling, shoe rental and a cheeseburger and soda. 3/2/1 Blast-off $3 First Game, $2 Second Game and $1 every game after that. 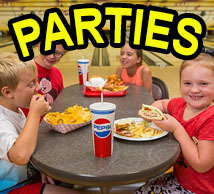 The Bowling Center is available for Company Parties, Children’s Parties or any other type of Party! Come on in to the Bowling Center for a different type of gaming!